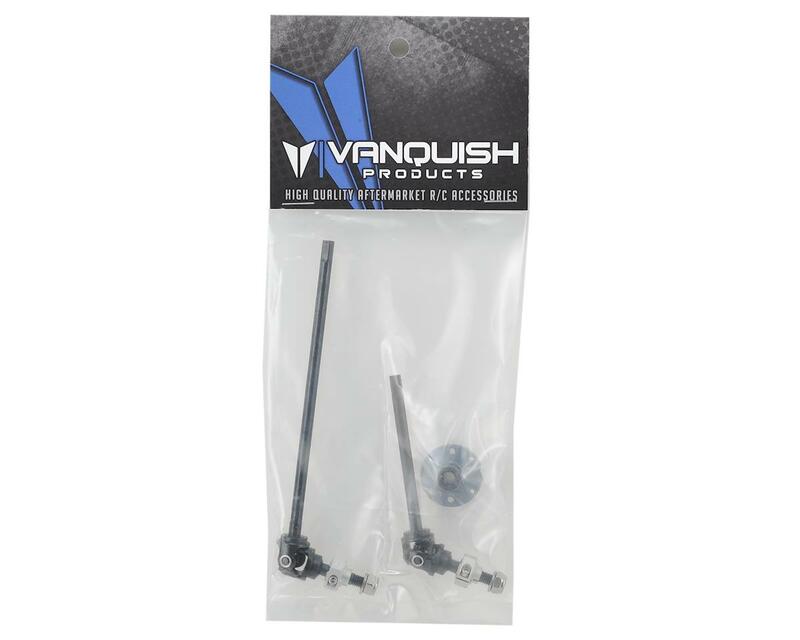 The Vanquish VXD Universal AR60 Axle Set features an ultra heavy duty rebuildable universal axle configuration that delivers reduced vibration and increased 60° steering angle. No other AR60 axle even comes close! Design for maximum material between link mount screws, some rubbing may occur (May require slight grinding of screws that hold lower link mounts). 5mm stub shaft requires the use of an 8mm driver to tighten the included lock nut. Many 8mm drivers have too large of an outside diameter to fit into many wheels. A compatible modified 8mm driver is available (VPS07100). May require slight grinding of screws that hold lower link mounts. 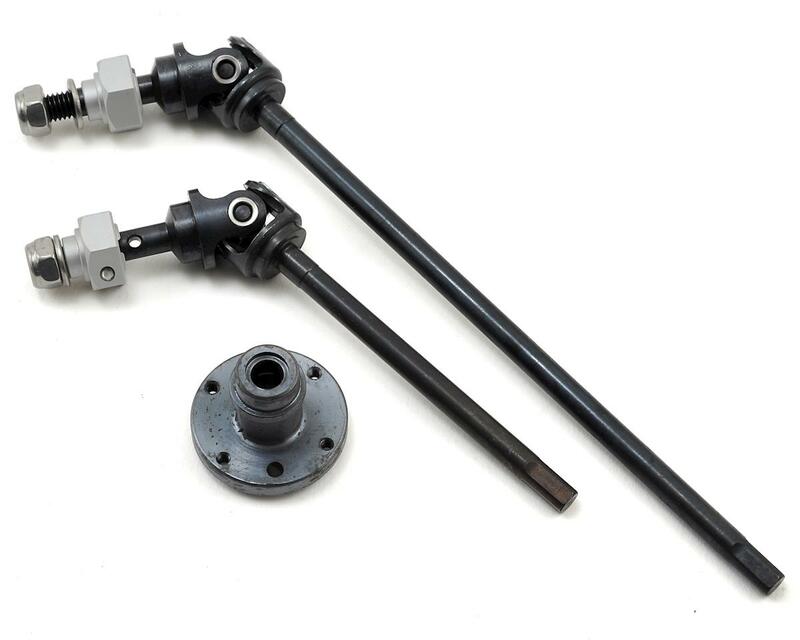 Universal style axles will have a chattering effect at high angles, this is normal with almost all universal style designs.